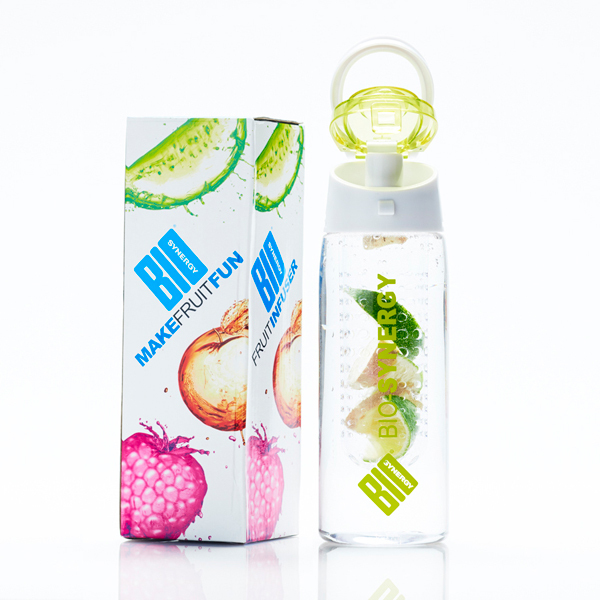 The Bio-Synergy Fruit Infuser Water Bottle is a delicious way to stay hydrated. We all know how important it is to stay hydrated but some people might find it frustrating. Fret no longer with this easy to use, portable water bottle. Simply load the fruit chamber with your favourite combination and enjoy.